Considered “the most advanced clear aligner in the world,” Invisalign can give you the smile of your dreams. While conventional metal braces do a fine job of straightening teeth, they can be uncomfortable and unsightly. That’s not the case with Invisalign. 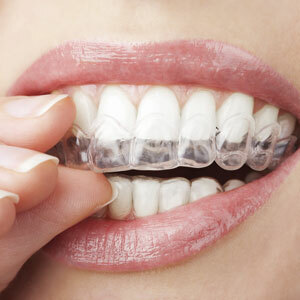 Invisalign aligners, which are made of durable clear plastic, slightly shift your teeth into an even position. Removable: Unlike metal braces, Invisalign aligners are removable. That means you can enjoy eating your favourite foods without having to worry about getting food particles stuck in your braces. Brushing and flossing are also much easier as you can remove your aligners. Customisable: Invisalign aligners are custom-crafted to meet your unique smile needs. Every week you will change to your next set of customised aligners that will continue to shift your teeth. Comfortable: If you ask anyone who has worn traditional metal braces about how they felt, likely they will tell you that they weren’t very comfortable. Invisalign aligners offer wearers a higher level of comfort as they are smooth and not bulky like metal braces. Here are the primary types of dental issues that respond well to Invisalign: crossbite, gapped teeth, open bite, overbite, severely crowded teeth and underbite. Your dentist will assess your teeth to see if you are an ideal candidate for Invisalign. If you are, impressions will be taken of your teeth. They then will be forwarded to the Invisalign laboratory, where your aligners will be custom-crafted to meet your smile goals. You will wear a new set of aligners every week or two. During each stage of the treatment process, we can show you the progress your teeth have made. Your teeth will shift gradually until they’ve reached your desired position. If you’d like to get a beautiful, straight smile discreetly, take the first step by contacting Incredible Smiles to schedule an evaluation with one of our dentists. We will provide you with an estimate of your treatment costs.